worker only described (see Bolton, 1995). Syntype workers from Longa (Louga) (Roubaud), three specimens (Bolton, 1987) . 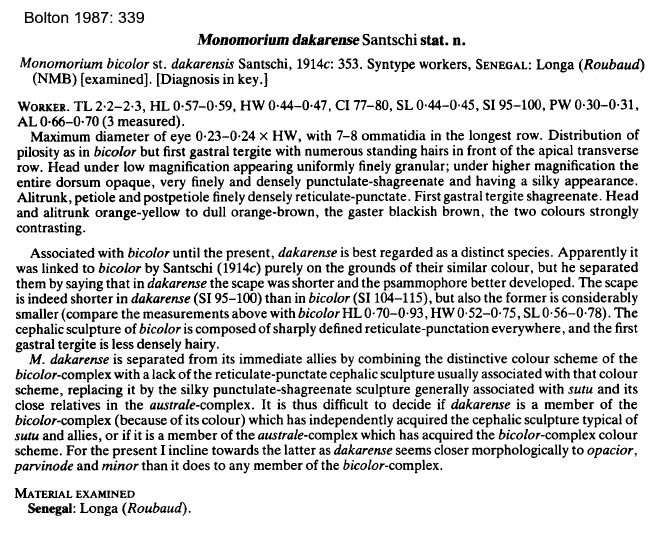 Santschi's (1914d) diagnosis is at . Bolton's modern description (1987) is at . WORKER - TL 2.2-2.3 mm; colour head and alitrunk orange-yellow to dull orange-brown, gaster contrasting blackish-brown, but with shagreening not reticulate-punctate sculpture (Bolton, 1987: 339, not illustrated). The photomontage is of a worker from Senegal, Thi閟, collector Lamine Diam� (58). The photomontage is of a worker from Senegal, Widou, collector B Ndiaye. 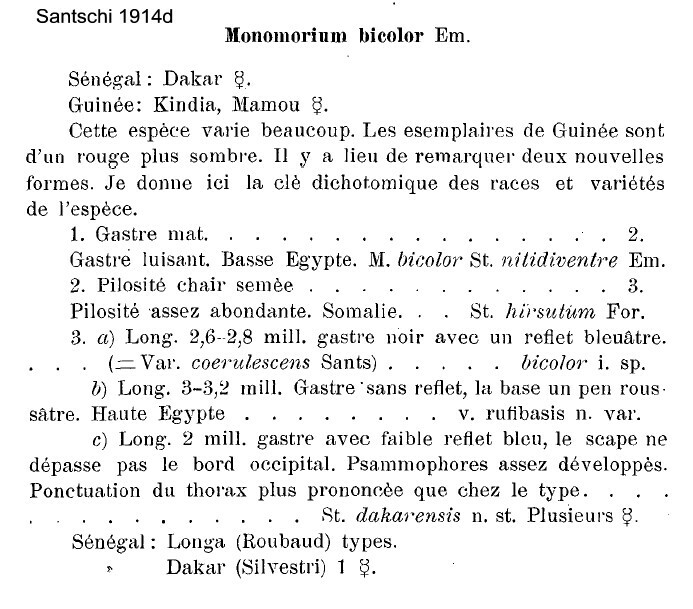 The photomontage is derived from that shown on http://sifolinia.blogspot.com/2008/04/monomorium-dakarense.html, taken by Mike Lush, Gambia, 3.iv.2007.